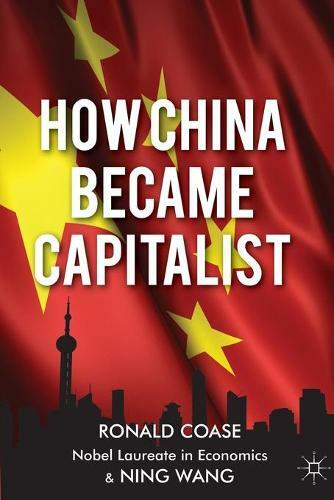 How China Became Capitalist details the extraordinary, and often unanticipated, journey that China has taken over the past thirty five years in transforming itself from a closed agrarian socialist economy to an indomitable economic force in the international arena. The authors revitalise the debate around the rise of the Chinese economy through the use of primary sources, persuasively arguing that the reforms implemented by the Chinese leaders did not represent a concerted attempt to create a capitalist economy, and that it was 'marginal revolutions' that introduced the market and entrepreneurship back to China. Lessons from the West were guided by the traditional Chinese principle of 'seeking truth from facts'. By turning to capitalism, China re-embraced her own cultural roots. How China Became Capitalist challenges received wisdom about the future of the Chinese economy, warning that while China has enormous potential for further growth, the future is clouded by the government's monopoly of ideas and power. Coase and Wang argue that the development of a market for ideas which has a long and revered tradition in China would be integral in bringing about the Chinese dream of social harmony.